Yesterday’s qualifying session was extremely close and certainly gave spectators some dramatic moments and exciting maneuvers. Jesturf founder, Martin Šula had a brilliant start to the race and lead the way from the early stages. Šula was followed by Lukáš Záhorský who kept it consistent and retook first place. However, the championship leader Jakub Kornfeil who built his race up after a difficult start was also one to watch. In the end Kornfeil took the lead and won the race from Lukáš Záhorský and Martin Šula. Martin Šula’s great start again pushed him forward in race number two and he was leading until Ivo “Stroužek“ Strouhal managed to overtake Šula and grabbed the lead. It was young talent Lukáš Záhorský who successfully closed the gap of the leading Jetsurfers, went through the group and gained overall victory. First race winner Jakub Kornfeil had a very tough race due to a crash in the first corner after the start. Even with all his efforts, he came in fifth place giving him an overall second place. 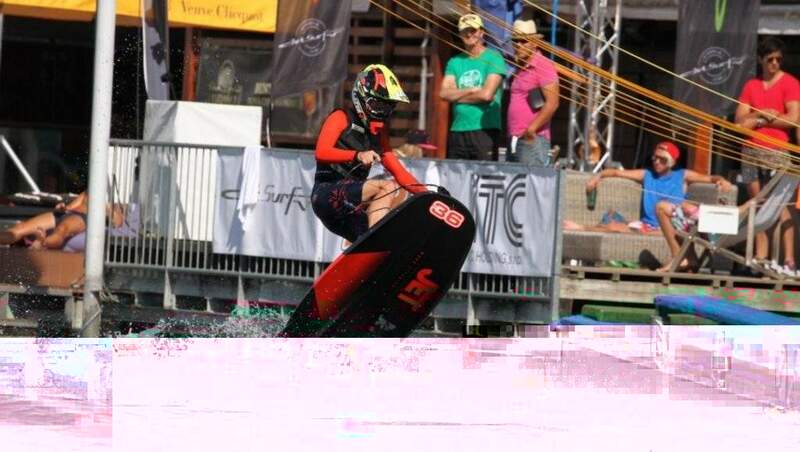 Ivo Strouhal competed with Matin Šula and Jan Charouz from Prague Jetsurf Club. The Prague based rider came third but stayed off the podium because of his first race retirement. At the end, Martin Šula took third spot and scored his first podium finish of the 2016 season. MotoSurf WorldCup newcomers made an awesome debut. 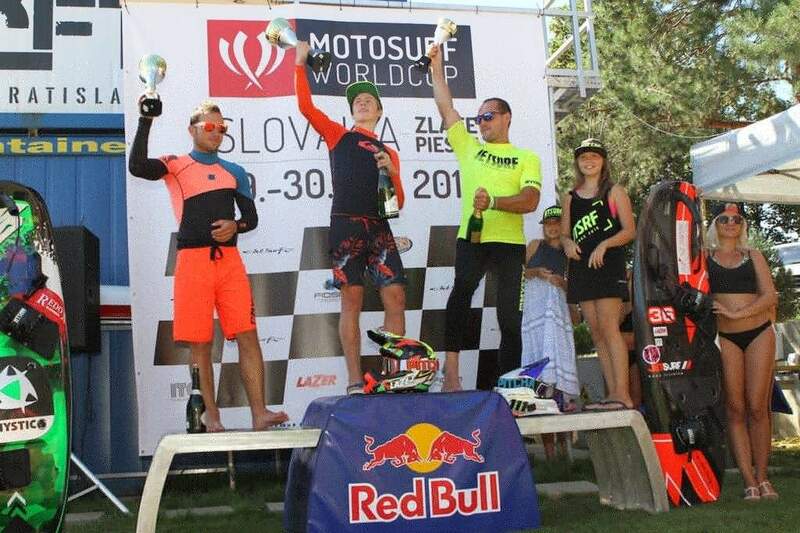 Sandro Gantar and Davor Štupar from Slovenia as well as Czech racers Robert Nešpor and Pavel Heiník joined the Cup’s for the very first time and already held the place of top ten riders. The next leg of this exciting race will take place in beautiful Prague. Make sure to follow us on facebook for updates and details.